Oslo, Norway (January 24, 2017) — Kari Traa, Europe’s fastest-growing women’s apparel manufacturer and No. 1 baselayer brand in Scandinavia, taps Verde Brand Communications as its agency of record. Effective immediately, Verde will enhance Kari Traa’s rapid North American growth with strategic public relations and communications support. Founded by three-time Olympic medalist and four-time World Champion freestyle skier Kari Traa, the Norwegian brand is quickly becoming the standard for active women seeking stylish, bold, high performance base layers and training apparel made just for them. Kari Traa brings its success to North America with unique, easily recognizable women’s-specific base layers and training apparel, including a wide collection of styles and designs that blend merino wool with innovative technical fabrics. A commitment to women’s-specific design coupled with Scandinavian style and tradition are the source of inspiration for Kari Traa’s esteemed apparel collections. Through an integrated approach, Verde will help the Scandinavian brand tell their unique story in North America with media relations, brand storytelling and creative communication strategies. Kari Traa will work with Verde as they prepare to unveil new designs at SnowSports Industries America Snow Show in Denver, Colo. January 26 through January 29. Founded in 2002 by Olympic medalist and World Champion freestyle skier Kari Traa, the brand that bares her name is a result of Norwegian heritage and the need for trustworthy women's-specific active wear. 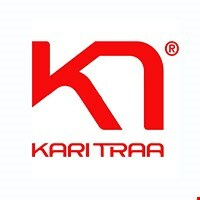 Today, Kari Traa is Scandinavia’s leading sportswear brand and Europe’s fastest-growing women’s apparel brand. For strong and active girls who also want to express their femininity, style and individuality, Kari Traa inspires women to lead a happier, healthier and stronger lifestyle—made by girls, for girls. Kari Traa sportswear is available in specialty retail stores throughout Scandinavia, Europe, the United Kingdom, the United States and Canada. For more information about Kari Traa, visit www.karitraa.com. With offices in Jackson, Wyoming, Ketchum, Idaho and Durango and Boulder, Colorado, Verde Brand Communications exists to bring expansion to our clients and inspiration to the outdoor active lifestyle consumer. Verde is a female-founded full-service brand communications firm offering services in traditional and digital public relations, brand strategy, marketing, paid media and consulting. Verde serves clients in the outdoor, cycling, snowsports, endurance, travel, active lifestyle and consumer electronics markets, as well as the Lifestyles of Health and Sustainability (LOHAS) markets. For more about Verde Brand Communications, visit www.verdepr.com.